Having left Tomato country we moved into Murcia – ‘the land of the Allotment’ as they call it in Spain, or ‘Europes Orchard’ in Wikipedia’s words. 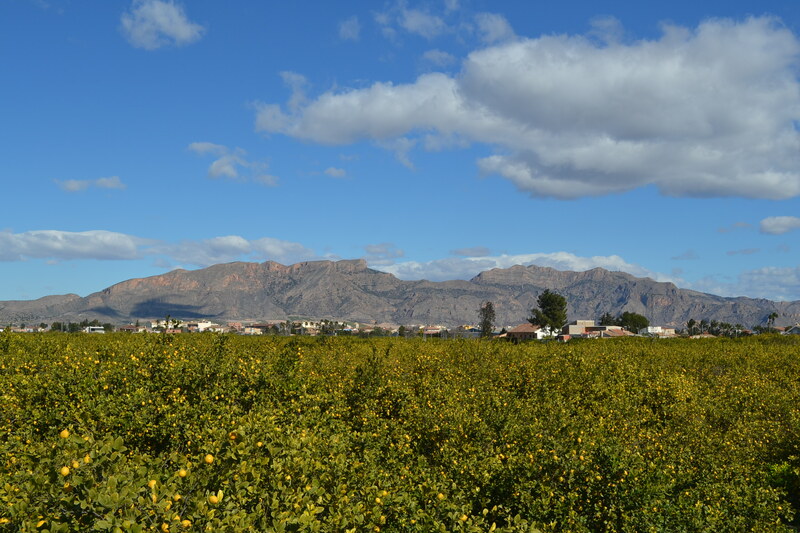 Murcia is one of the smallest autonomies in Spain but it is known for its food and drink… although I am guessing that they must export the lemons as from what we have seen they have more than enough to share with at least Europe, possible the rest of the world! Our first stop in Murcia was Vera which is slightly in land from a very british and touristy coastline. The Aire (Area Auto caravanas Indalo 9 euros a night inc. elec.) was roughly 4km outside Vera itself down a dirt track, nestled in the hills looking up at the mountains – a beautiful tranquil setting which oddly, the Aire shares with a Padel and Tennis center. The town itself was far more peaceful and normal than those we had passed through on the coast and as the weather was reasonable when we arrived and we found a nice butcher we even managed to have a bar b q! After a couple of restful nights in Vera we moved on to Categena where we stopped at an Aire (Dolores 10 euros a night inc. elec.) which was roughly 7km from the center and 1km from the nearest town which had a handful of decent bars for tapas and football….I have to remember the important things in life. Despite not arriving particularly late, we were lucky to find a space as four French motorhomes travelling together arrived just before us causing a bit of a commotion as it wasn’t a big place. In the morning, after a trip to the market to stock up on fruit and veg we headed into Cartegena and were suprisingly disappointed, perhaps we were having a bad day – although it is odd that we both felt the same – it just didn’t feel like the city had any soul. 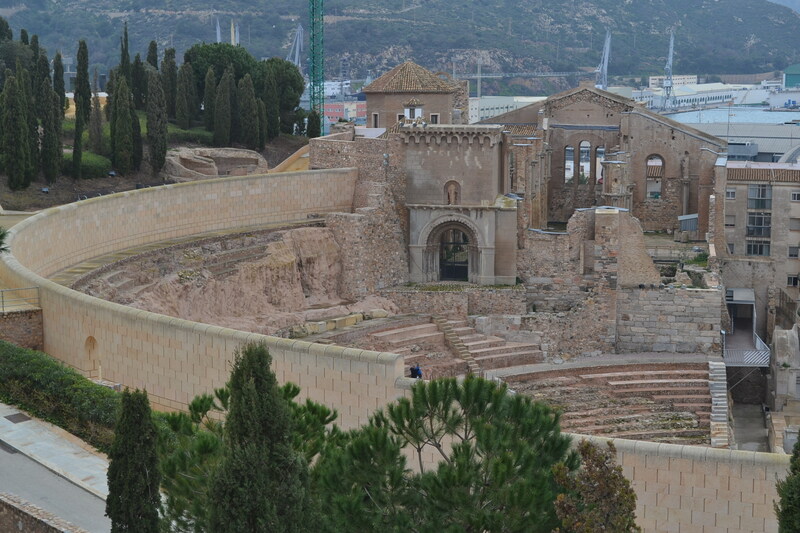 Despite it not giving either of us any reason to want to come back, it did however have a rather spectacular roman theatre which was worth a look…. Leaving Cartegena we thought we would head towards a campsite in a natural cove south of San Pedro del Pinatar, an area that we had been told about by a couple we met in Toledo a few months ago. The cove is enormous and looked very pretty, although in parts we could see that it was very built up. As we started to get close it became evident that it wasn’t our kind of place …. the campsite was enormous with hundreds of static homes, caravans and motorhomes, so we quickly decided to bypass it and move on to Murcia. We arrived at the Aire (Camper Park Huerta de Murcia 12 euros inc. elec.) mid afternoon and followed the same 4 French motorhomes in, yet again thankfully there was one space left for us 🙂 The Aire is roughly 9km from the center of Murcia, just outside a little town called Alquerias which has ample bars and restaurants and it also has a cycle path into the center of Murcia nearby…. 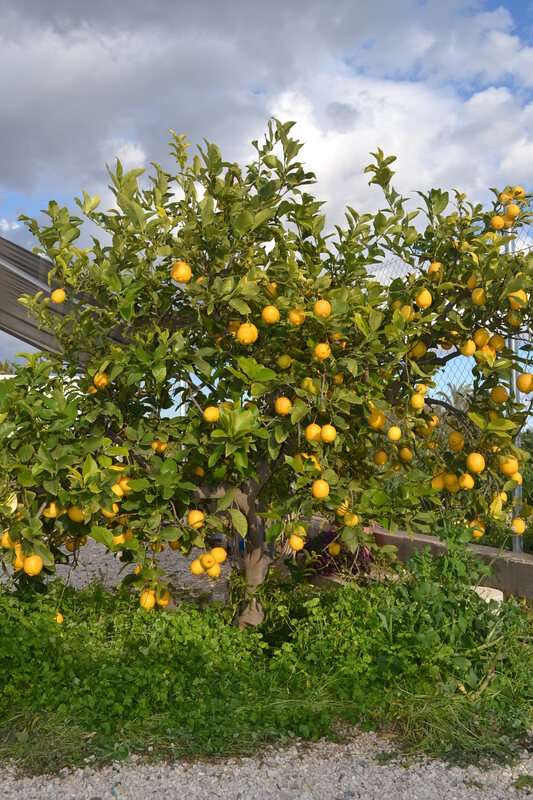 most importantly it is surrounded by lemon trees. I would almost go so far as to say that they possibly had to dig up some lemon trees to squeeze the Aire in…. it isn’t a bad spot! We jumped on the bikes on Saturday morning and headed into Murcia to find the market (what a surprise) and for a wander around. In complete contrast to Cartegena, Murcia has a lovely old town with lots of tiny streets and boutique shops. Having walked the streets of the old town and soaked up a bit of the atmosphere in one of the main squares as there was a concert/show on, we wandered over to the western side of town and found another market surrounded by lots of restaurants and bars heaving with people. Nice for a drink, but definitely a lunch / tapas stop for next time we visit – it looked great. A bit more mountain air …. 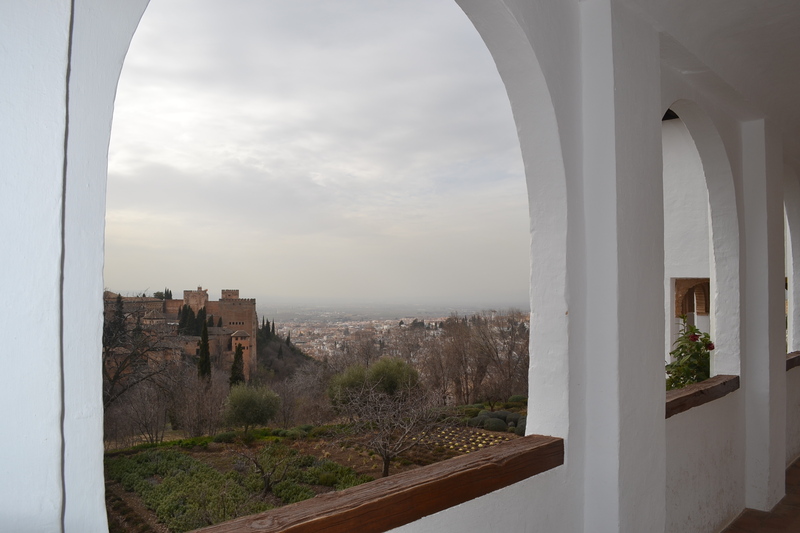 Anyway, getting off my high horse …..although the people running the Aire were lovely and full of suggestions of where we could go in the area, we only stayed one night before heading back up into the mountains to explore Granada! Like Ronda, we weren’t sure if we would make it this year as there has been a huge amount of snow in the Sierra Nevada but we struck it lucky with a couple of clear days and a bit of rain. We parked up at a campsite (Camping Maria Eugenia, 17 euros excl. electricity) which was roughly 5km from the center and headed into town for to have a look around and try out some of their tapas. The camping was nothing to write home about, but it was a safe place to park in the city, the owner was friendly and it had a bus stop outside the entrance if you wanted to use it (naturally we walked everywhere :)). As we don’t use the campsites for much more than emptying and filling up the 17 euros was more attractive than 27 euros which was the other alternative. Granada is obviously famous for the Alhambra, the Sierra Nevada … and if you are foodies like us, for its tapas 🙂 Every drink that you buy comes with a ‘free’ tapa, but instead of the usual nuts and crisps that you get in other parts of the country, you can choose from a menu of delicacies. Obviously the quality/ingredients vary hugely depending on the type of establishment you are in but we were lucky in all but one bar where they over-did the grease a little. (Note: Some bars do charge a bit extra for the tapa with a drink, rather than a drink on its own). 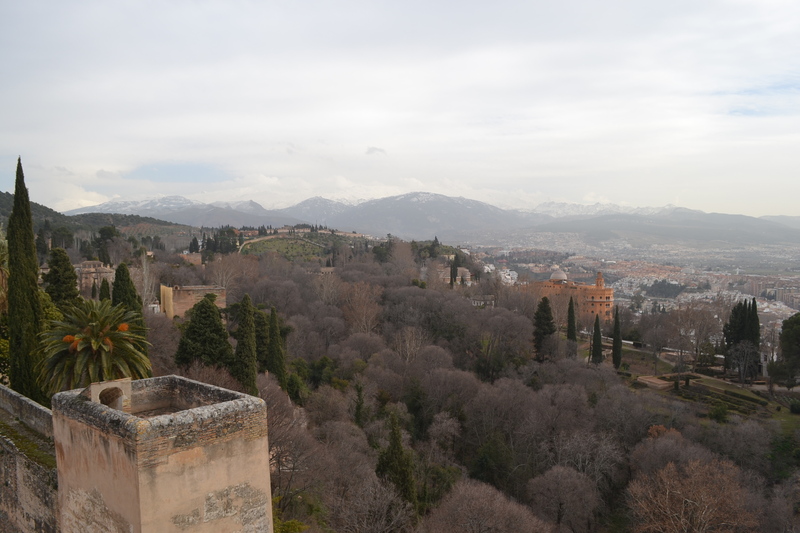 We spent three days in Granada, one (more late afternoon/evening) exploring the bars and cafes, one walking the Alhambra and the last (rainy) day wandering the streets of the old city – all of which were hugely interesting. and the detail in the carving of the ceilings and walls is incredible and some of the courtyards quite beautiful. 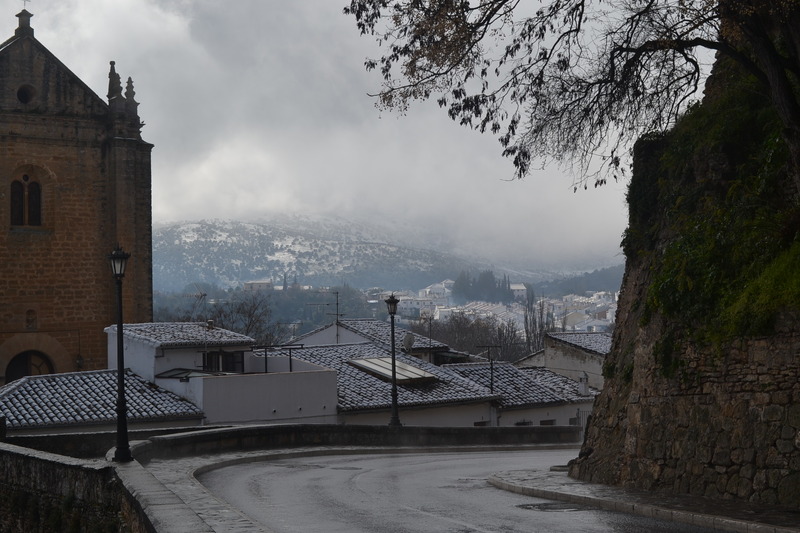 After leaving Granada we unintentionally climbed further into the mountains (1300+m) to get back down to the coast, thankfully although there was still a bit of snow by the side of the road the real white stuff was still a couple of hundred meters above us ….. looking very beautiful, and very thick! Over the last couple of months we have predominantly been in ‘Orange’ and ‘Olive’ country – where at points we could buy 5kg of the most enormous, succulent Oranges for 2 euros….. what a treat, we have now moved to ‘Tomato’ land…. Almeria is apparently the largest tomato producer in the world…. and very tasty they are too. We parked in a car park next to the beach roughly 4km from the center of Almeria as the service area we had planned to stay at apparently shut last year. The location however was stunning and it was half way along a cycle path/promenade – perfect for us for a couple of nights enabling us to visit the market on Saturday (where they had the most enormous variety of tomatoes ranging from 1 euro a kilo up to 13 euros a kilo), have a good walk exploring the town and soak up a bit of sunshine and sea air. 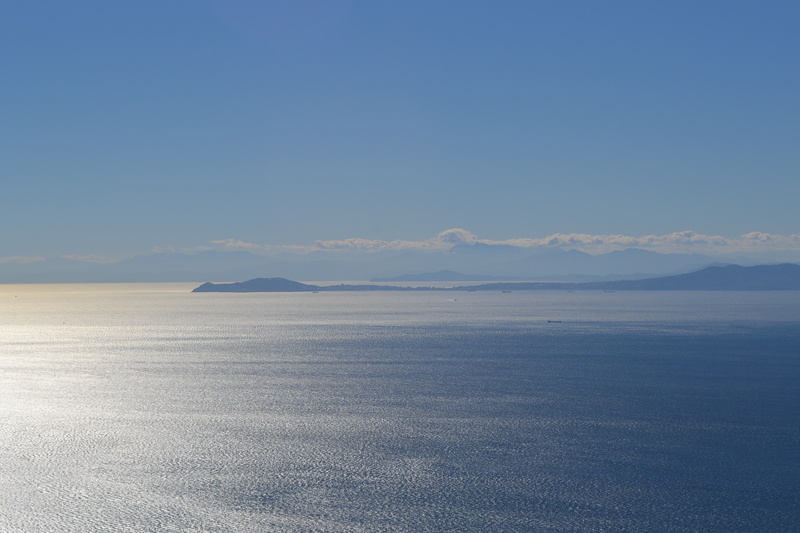 When we left Almeria this afternoon and headed to Aguas Amargas (Bitter Waters) the temperature was 19 degrees …. A proper summers day for us Brits… we almost dug out the shorts! Aguas Amargas is a little town in a national park just along the coast from Almeria. We parked up in the river mouth and walked up into the hills above the town to take in the views…. Tranquil. We have now been on the road in the motorhome for 6 months …. strange as it doesn’t seem that long ago when we left Bagnoles De L’Orne – not sure if that is a good sign or a bad one! After much debating we decided to head inland and up into the mountains to Ronda, a place we have wanted to come to for a long time but never made it. Concerned about the forecasted snow, we researched all the routes into Ronda – all of them are apparently stunning, none of them an easy drive – finally we opted for a smaller road which turned out to mean that it wasn’t very well kept, dissolving slightly at the edges (a bit disconcerting when you are nearly 800m up the side of a mountain) and rather bouncy in parts, but beautiful all the same. We were heading for an Aire which was supposed to be 12 euros a night, but ended up at the campsite ‘Camping el Sur’ (18 euros 52 per night exc elect with 5% disc.). The Aire is owned by the campsite, but currently closed due to it flooding, so we had no choice except to opt for the slightly more costly option. 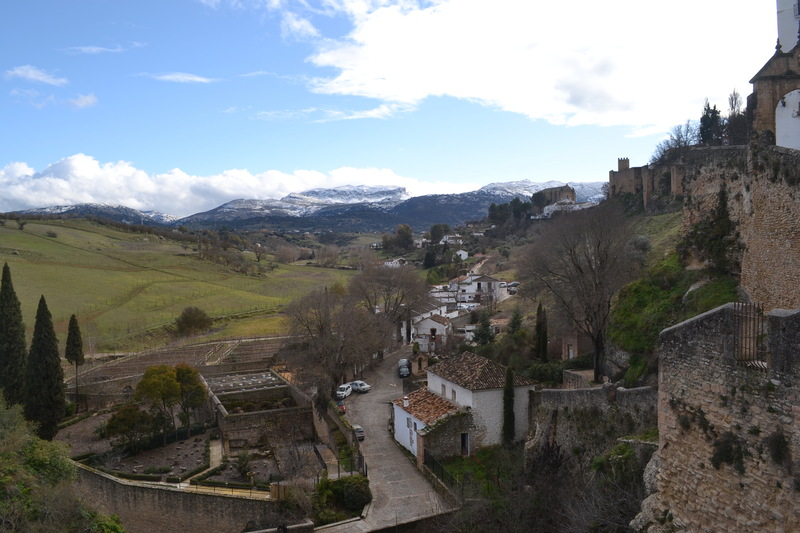 After a quick wander into Ronda to stretch the legs, take in the beautiful views and get a map we settled in for the evening in a cold, but very tranquil location. We had been keeping our eye on the weather forecast and knew that there were chances of snow on Saturday night however, we woke at about 6am to rain…. which turned into snow and looked like it was going to hang around for a while. Having waited a couple of hours until it slowed (and plugged Mika into electricity as the solar panel was covered in snow), we set off into town to explore and were not disappointed by the added ‘charm’ the snow added …. although, like the locals, we were a little nervous as to what may be coming later in the afternoon as it looked like we were in for a good few days here …. That said, despite the weather forecast and the colour of the sky, it didn’t snow or rain on Saturday, nor Sunday – so, although not beautiful bright blue skies, we were still able to enjoy some of the walks and sights. For those of you who haven’t heard of Ronda you can read up on it here – it is a beautiful old town built around a canyon with three bridges joining the two sides and a lovely walk through the valley below enabling you to look up and admire the main bridge on one side and the mountains on the other. the views from the bridge down into the other side of the canyon weren’t too bad either …. 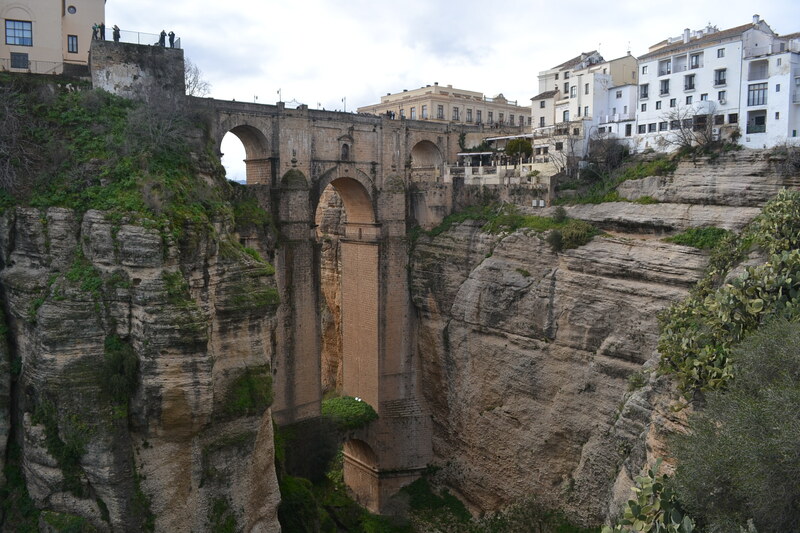 Ronda is set in the most beautiful location, every direction you look in leads you to a mountain encrusted with snow in the distance with beautiful old buildings balancing on the edge of a cliff looking like they are about to fall over – it is stunning. The area not only has lots of walking and mountain biking but it also has its fair share of good bars, restaurants, a decent market and lots of patisseries …..so we will definitely be back when the weather is a little warmer. We worked our way cross country from Sanluca to arrive at Puerto Santa Maria which is a pretty town on the coast across the river from Cadiz. Not having been able to find any cheap/free Aires nearby, we decided to opt for a campsite ‘Camping Playa de las Dunas de San Anton’ (16 euros inc elec. with ACSI) which was almost on the beach, but most importantly had easy access to both Cadiz and Jerez. The campsite was fairly busy with a mixture of French, English and German predominantly, some staying for a couple of nights and some for the winter months, but all seemed to be very friendly and welcoming. We were concerned that Puerto Santa Maria would be a bit industrial, but quite the opposite, it has a really nice old town complete with its own castle as well as a very plush newer addition in the form of the marina ‘Port Sherry’ and town called ‘Pueblo Sherry’ where the wealthy business people obviously live, commuting into Cadiz each day… an all-round nice place to be. We took the catamaran over to Cadiz to explore a little further on Monday and although we had been here before and had good memories of the endless cobbled lanes, we wanted to see how it had evolved over the years. It has had a fair amount of investment and is still a really interesting place to visit with lots of little boutique-type shops, two castles (his and hers), as well and a lovely promenade all the round the edge of the town….definitely worth a day trip at least. The town of Jerez itself is an inland version of Cadiz – lots of beautiful buildings, cobbled lanes and interesting areas to explore. 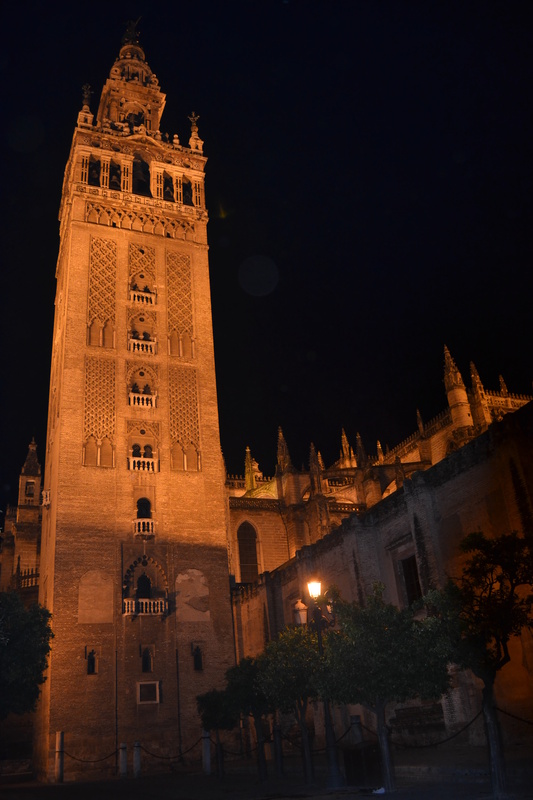 It is famous for its horses, is the birthplace of flamenco (for some reason I thought that it was Seville) in addition to being where sherry comes from – I am sure that the town comes alive at night, but we didn’t stay late enough to sample the evening entertainment. From what we could see there appear to be 5+ different types of Sherry – Fino (similar to a very dry, white wine), Oloroso (Slightly less dry, but with a bitter after taste), Oloroso Dulce (Didn’t get to try this one, but I imagine a sweeter version of the Oloroso), Crema (Smooth, sweet and tawny port-like) and Amontillada (again didn’t try this one) … all quite interesting though. As with Porto in Portugal, the town itself has the distilleries dotted around it and offer tastings and tours however, having done quite a few vineyard tours we decided to opt for the ‘bodega’ option which meant visiting one of the 6 ‘Sherry’ bars around town and paying 1 euro for a ‘home-made’ version of one of the above. 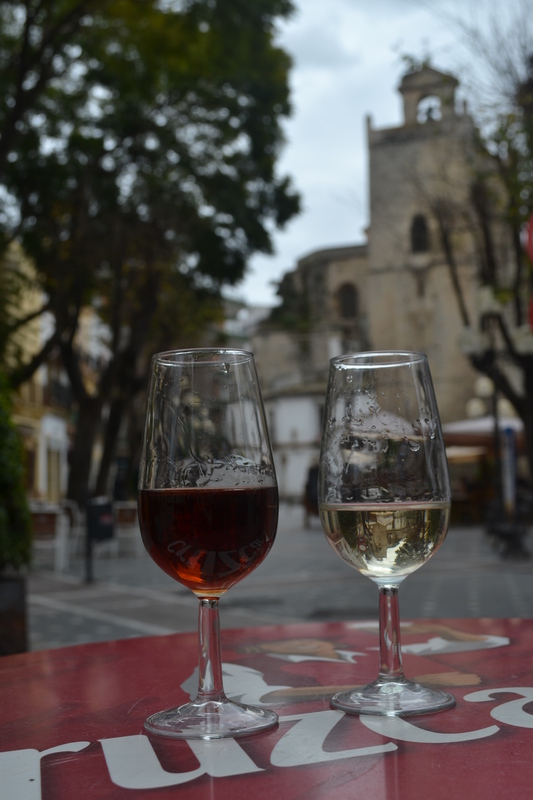 All the bars / cafes in Jerez served Sherry, but these bodegas offered a bit more of an atmosphere and a ‘tasting’ option if you wanted to partake. We both decided that the ‘Crèma’ Sherry was more to our taste and found a little place where the guy persuaded us to try a ‘farmers’ version – I think that just means it was a little less refined, no certification and cheaper – but nevertheless it was as nice as the others we had tried, so we bought a bottle (ok – 2 litres) to take home with us. Although we were oddly quite excited by the concept of being in Gibraltar I don’t think either of us knew what to expect and despite finding the very expensive camera lens that I have just bought for £50 less, we both had a bit of a reality shock on prices. 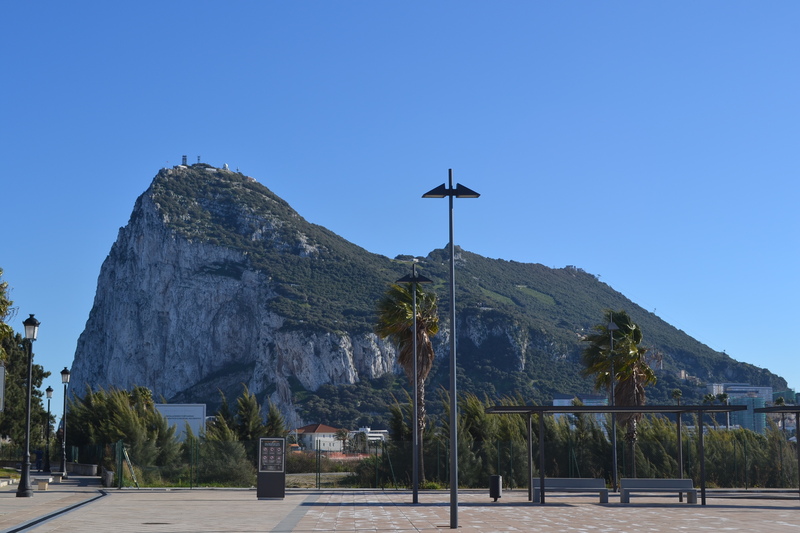 As we still had some M&S vouchers, Keith bought some boxers in Marks and Spencers (can’t go wrong with M&S underwear) and oddly, Gibraltar apparently has the largest Morrisons’ store in the portfolio …. they even have large jars of marmite (Thank you Gonzo 🙂 )… we managed to hold back though and didn’t buy anything else. 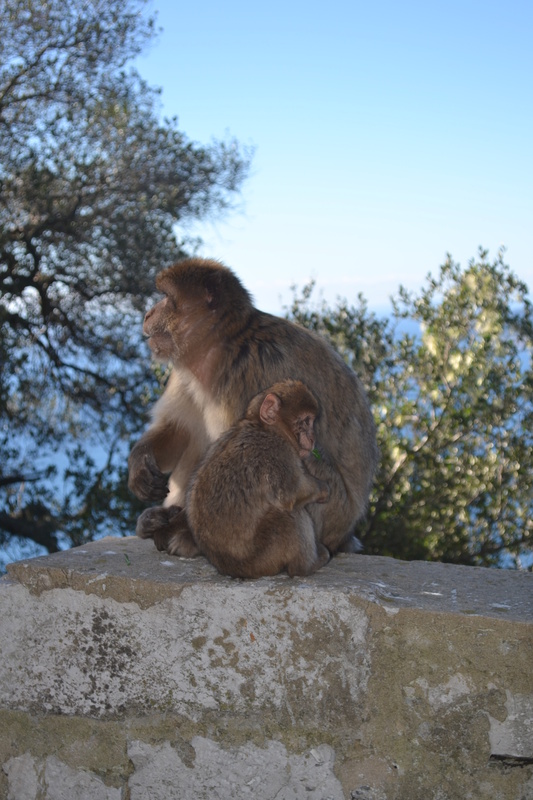 Needless to say that we enjoyed the visit, but it won’t be one of the places that we would be rushing back to as there isn’t a huge amount to do there apart from eat in English style bars and restaurants and shopping…..
…. A busy week, we have taken a holiday from our normal routine to live it up in Seville with our first visitor this year – Richard (Gonzo) Lowe. We arrived in Seville on Sunday and parked up in a secure Aire by the Port (12 euros a night +3 for electricity). The Aire is part of the car park of an import / storage business of new cars before distribution and they also have a large mechanic workshop, so although it was pretty quiet overnight and the weekend, the nature of the business meant that they had to have 24/7 security which is always a bonus. We really struck lucky with the weather as from Sunday through to Thursday afternoon we had beautiful clear blue skies with the temperature raising to 17/18 degrees during the day, going down to 4/5 degrees overnight – making it a bit more difficult to select the appropriate clothing when we were leaving the motorhome at 10am and not getting back until the early hours the following morning …. A minor price to pay. And even looks rather nice at night …. We made Richard walk to every corner of the city both during the day and night…. Obviously to take in the sights, but with additional motivation of trying another little tapas bar 🙂 Every time we left Richards hotel we walked in a different direction and found more narrow streets with interesting shops and bars…. A maze of lovely places. 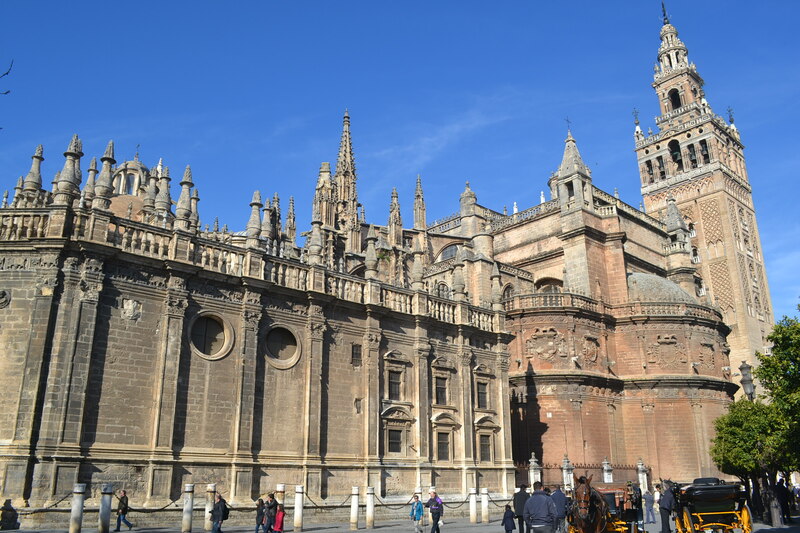 The city is full of history and beautiful buildings – our favourite (over and above the cathedral) has to be the Plaza de Espana, which I am sure was under scaffolding last time we were here as I don’t remember it being anywhere near as impressive. Unfortunately, as I don’t have a wide angle lens (or fish eye) I couldn’t get the whole building in one photo as it is so large… but hopefully this gives you a taste…. 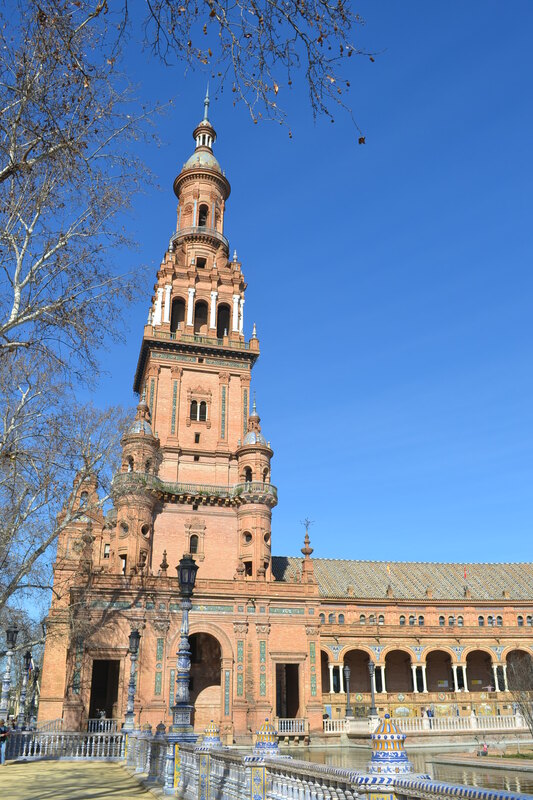 We left Seville on Friday morning and headed to the coast to a small town called SanLuca Barramera where we spent a couple of tranquil, yet windy nights in an Aire (F.O.C) by the beach. The town was buzzing on Saturday morning with the bars and restaurants serving the locals the normal pre-lunch aperitif and tapas, all centered around the vibrant market. As always, we explored the town and then took advantage of the lovely promenade to help blow away some of the city cobwebs (and rich food and drink we have eaten over the last week! ).